Seeking and reporting the truth in a truthful way. Now, let’s compare the lofty rhetoric with low-blow reality. 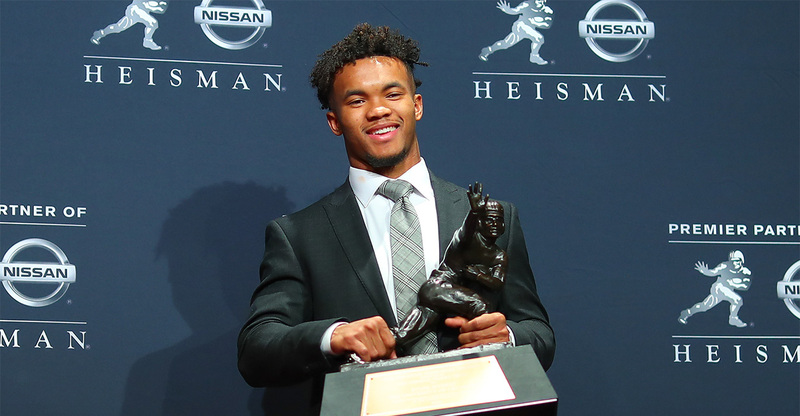 On Sunday, 21-year-old University of Oklahoma quarterback Kyler Murray won the Heisman Trophy. He gave a gracious, emotional speech that celebrated his faith in God, respect for his fellow athletes, love of family, lifelong work ethic, and team spirit. “I’ve worked my whole life to fulfill my goals, but at the same time, I know there’s a higher power looking down on me. He enables me to do all things. For that I’m grateful—for the many blessings that God has blessed me with,” Murray humbly told reporters. But one reporter wasn’t interested in covering the actual news of the Heisman winner’s triumph. He was interested in sabotaging it. Google is now clogged with wall-to-wall coverage of his teenage antics from CNN to the “Today” show to every sports outlet and his hometown Oklahoma newspaper. Who “resurfaced social media’s memory”? Why, it was Gleeson himself! By creating an illusion that Murray’s schoolboy tweets were the subject of any scrutiny and outrage other than Gleeson’s own, USA Today gave us a shining example of the manufacturing of fake news. Ain’t misleading passive voice grand? Indeed, Gleeson’s own biography is one of a social justice advocate dedicated to identity politics propaganda. “My enterprise and human interest work on the LGBT movement in sports made me an APSE award finalist in 2016 and a USBWA award winner in 2017,” Gleeson boasts. Was he aiming for another award with his ambush of Murray? Gleeson certainly got his new scalp and paraded it prominently, with aiding and abetting by USA Today’s silent, AWOL editors. Within hours of publication, Murray had apologized. Specifically, how did the piece “serve the public interest,” “exercise fair play,” exhibit “fairness in relations with people unaccustomed to dealing with news media,” observe “standards of decency,” and demonstrate “integrity”? “We will be honest in the way we gather, report and present news—with relevancy, persistence, context, thoroughness, balance, and fairness in mind. The post USA Today’s Coverage of Young Athlete’s Old Tweets Is Vigilantism, Not Journalism appeared first on The Daily Signal.